I am thinking of updating the PCM and have been looking for some time. One thing I am worried about is that when you remove the PCM you also remove the ability to control the car functions. But in Japan, it seems the stereo may have been optional. Does anyone know how the various functions are controlled in this instance? Is there a separate unit? What car have you got .. gen 1 or 2 ? By update do you mean you want to replace the pcm with an aftermarket unit and not a software update ? What actual functions do you need to alter ? I can code any function at work with a tester so if you are talking about locking then it can be coded via a tester and its in the door control units and not the pcm . I have no idea about the japanese units .. each market has some differences but not separate control units just in case you want to fit a non Porsche item . I have a gen 1 and want to swap the head unit to something that can cope with multimedia. If Japanese cars ship without a stereo (IF), then there must be a separate module for controlling car functions, no? This might be fitted somehow alongside the new stereo. If not then I am barking up the wrong tree. I realise I probably won’t want to change when the lights dim etc but if this functionality can be retained then fantastic. You can change when the lights dim through the PCM? Does this work on Gen2? the same name in the header. The setting is immediately applied. illumination duration when unlocking the vehicle. The full PCM3 manual is available online for download. The std PCM also gives Trip details, and Chrono info. OP - responded on PH I think the best bit is to look at the manual for the PCM version in your gen1 and decide if anything it offers will be missed. I suspect the answer will be "not as much as you gain" on a gen1. Just configure your settings before you upgrade, that's what I did. I think the JDM "no stereo" spec would just mean those cars wouldn't be able to do any of the parameter configuring that would normally be done via the PCM. Rick I think cannop is right the Japanese cars would be preset and no further adjustment possible from the head unit which is exactly what we do over here when we upgrade the PCM to aftermarket double din unit. now what I am not sure of is whether they can then plug in a durametric and adjust those settings as they wish in the future. your correct though there was no PCM for the Japanese market and Porsche supplied a double din fascia and the cars were fitted with an aftermarket head unit. 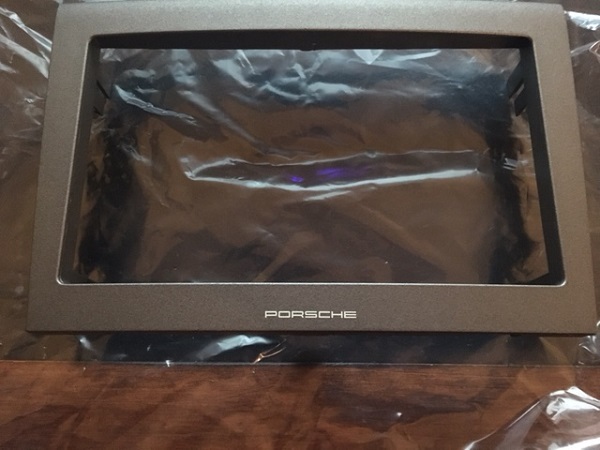 Heres a pic of a genuine Porsche supplied DD fascia for the Japanese market that I had a few years ago. it had a 997 part number on the back of it.